What’s going to happen to commercial vans in London? Here at Garage Express, based in North London, we continue to monitor the motor industry regulations and bring the news and impacts to our customers. This is particularly the case when affecting van drivers in London. With government regulations on emissions in London due to tighten next year, having a regular van service will become more important. So what do you need to know and what can you do about it? 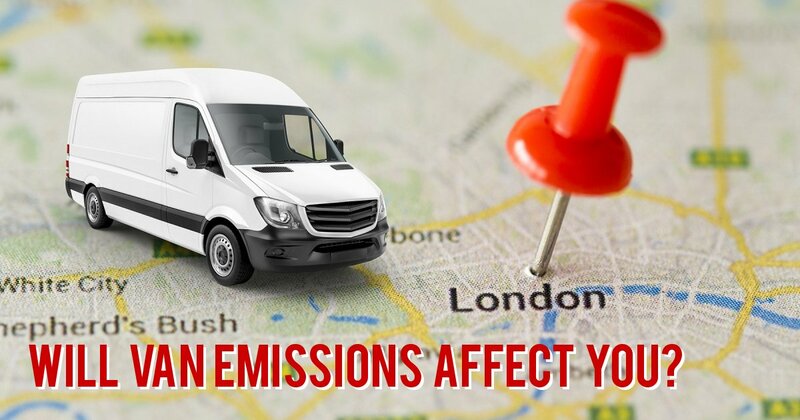 From 2019 the levels of permitted emissions from cars and van is going to change and the zones will be dedicated as Ultra Low Emission Zones (ULEZ). These new zones will have tighter regulations than the current Low Emission Zones (LEZ) currently operating across London. This means that the number of cars or vans able to drive in these zones without paying the daily charge will climb. In 1992 the first Euro standards were introduced which laid out the limits covering air pollution. These covered aspects such as the quantities of Nitrogen Oxides (NOx) and the levels of particulate matter (PM) being produced. Find out more ULEZ and the emission levels. The ULEZ will be effective for 24 hours a day and will operate every day of the week. It is worth noting that this charge will be in addition to the existing congestion charge so the result of the two charges will mean that drivers will be paying a total of £24.00 per day to drive in London. If, for whatever reason, a motorist driving in the ULEZ fails to pay the necessary charges, it could end with a fine of up to £130. So make sure you are fully paid up for driving in London. Where are the ULEZ boundaries? The planned introduction of the ULEZ will be run over 2 phases. Initially the zone will be the same as the current congestion charge zone. The boundaries will then be expanded from the Central London areas out to include the Inner London from 25thOctober 2021. This will include to the inner London area bounded by the North and South Circular roads. Will a van service help? The new emission regulations are significantly tighter than the current levels on the LEZ. It has been estimated that, due to the expansion of the size of the new ULEZ, up 35,000 extra vans will be affected on a daily basis. Regularly servicing your van will help to reduce the emission levels, and ensure that you meet the additional tougher MOT test. However, the only way to actually avoid paying the daily charge in London, will be to upgrade your van to a new cleaner hybrid. For many smaller businesses and sole traders working in London, this could be a more difficult situation to deal with than the larger fleets. If you drive a Ford Transit registered in 2018, Ford have ensured that the emissions meet the stringent Euro 6 levels, which means a total of £24.00 per day to drive in London. If you would like help in ensuring your van is running smoothly and maintaining as low emission levels as possible, please contact us on 0208 905 8788 and we can book your van in for the service.